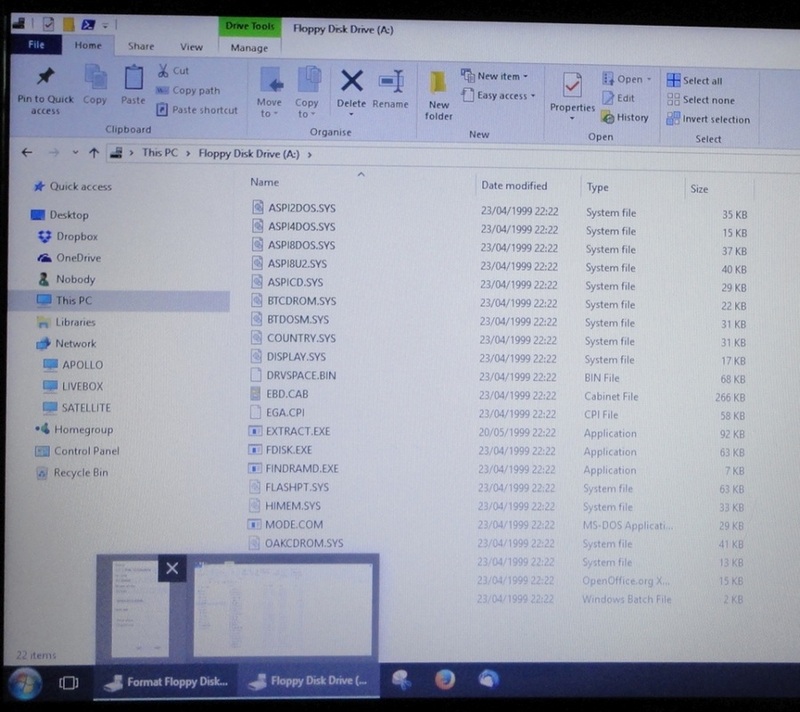 Floppy disks are a thing of the past and the familiar drive A: has not been included in new computers for many years. Yet some of us have a stack of the bulky, quaint things still kicking about and no way to access the contents. In my case, I was wiping clean a box of floppies prior to scrapping an old laptop when it stopped working, leaving me with 43 floppies still to do. 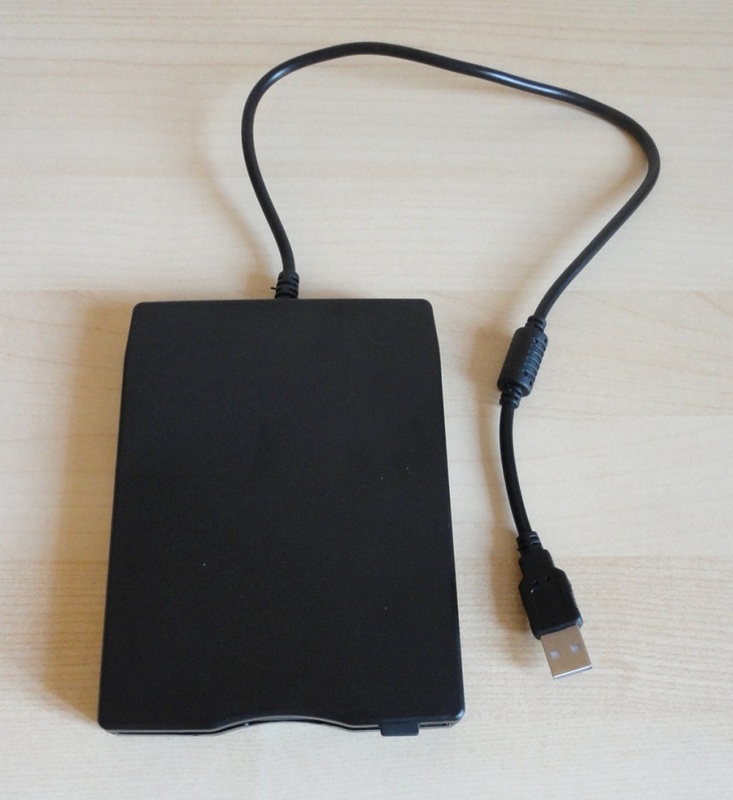 This small external drive connects to a computer simply by means of the short built-in USB cable and is immediately available for use. The manual worried me because it stated compatibility with Win OSs up to XP but, as I found out, it works with subsequent versions, too. With Win 10 I didn't even see a driver being installed, it just started spinning and showed up as A: in Explorer. Depending on your system, the drive letter might be different. A couple of hours later I had checked, backed up and erased all data from my 43 floppies which have now joined the rest, ready for recycling. Operation was identical to an internal drive; a few times I got a message that the formatting had not been completed but it worked on a second attempt. I'm pretty sure the fault was with the OS and not the drive. 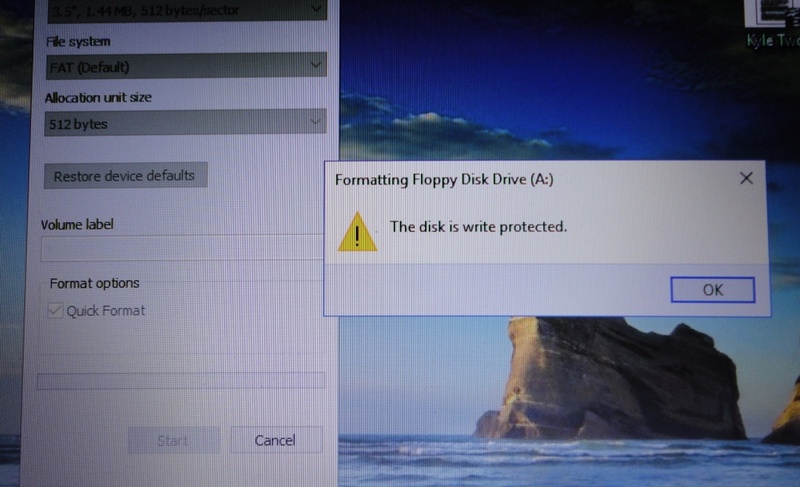 It also detected a few write-protected diskettes that needed to be physically unlocked. I was able to read different formats without problems, only limited by the programs currently on my laptop. 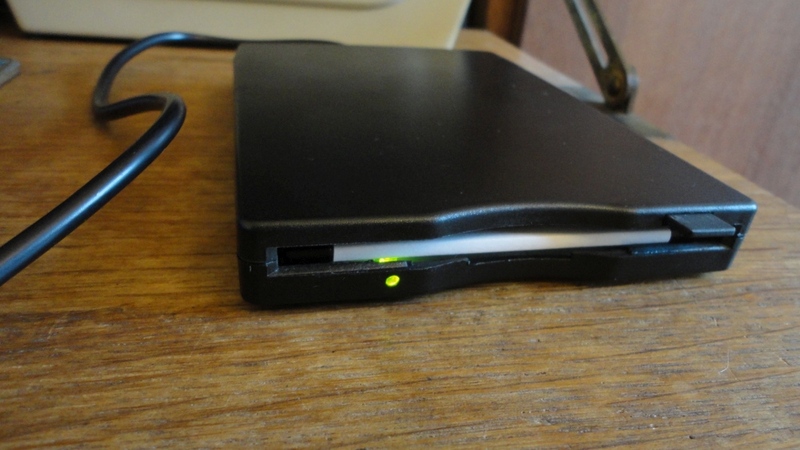 If you have a similar requirement to access the contents of an old floppy diskette, whether data or programs, this small and very inexpensive external drive will get the job done. 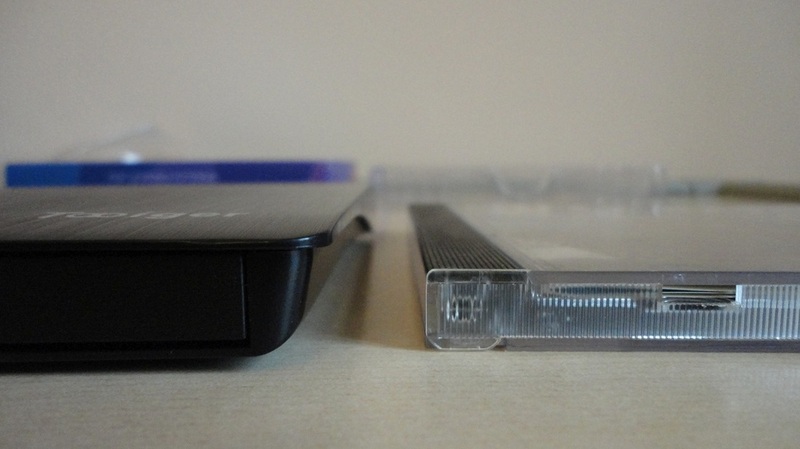 A very portable, lightweight external DVD reader/burner, barely larger than a DVD jewel case. 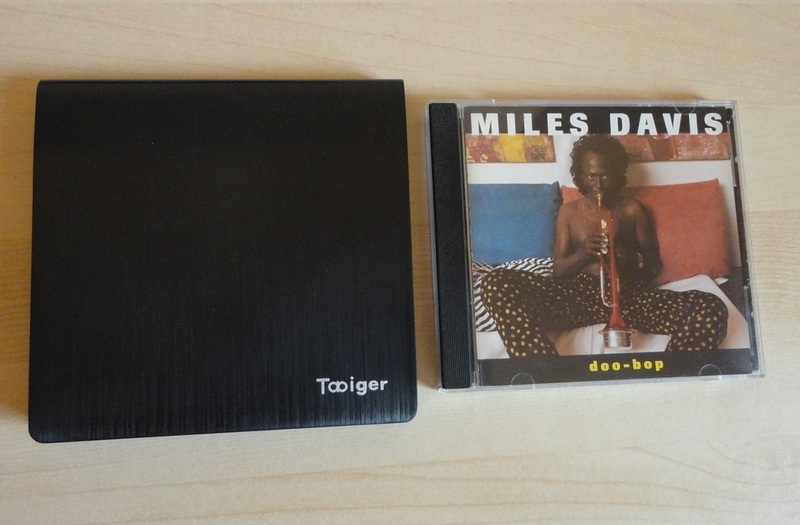 Since many new laptops no longer have a CD/DVD drive, this class of products neatly fills the gap. 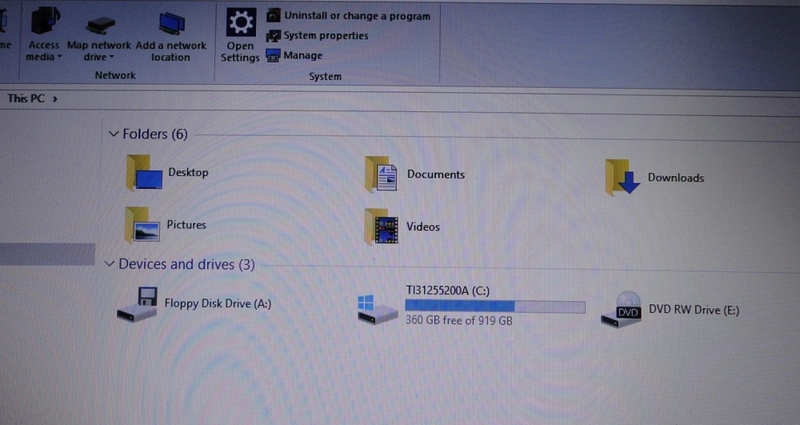 Everything about this drive is compact and streamlined. It has a metallic appearance but it is made of hard plastic. 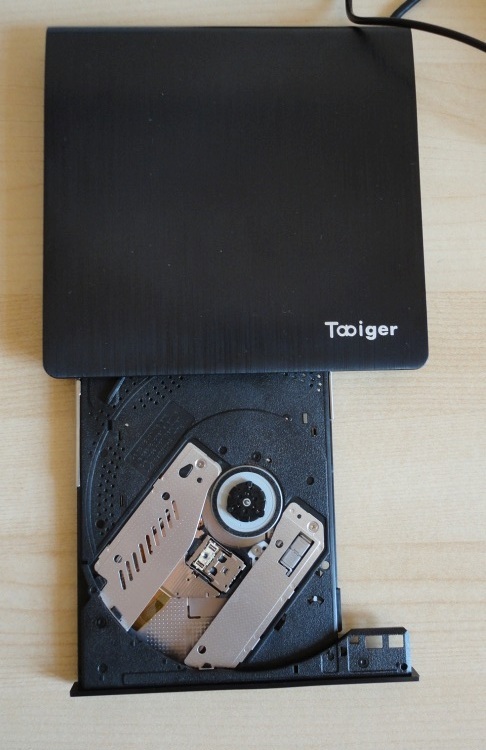 It functions exactly like an internal drive, but has the advantage of being removable so it can connect to different devices via a standard USB port. The integral cable is very short and it sits in a groove on the underside. The plug is a USB 3.0, built for speed but backward compatible with 2.0. In use, the drive is fairly quiet, and reading happens smoothly without noticeable lag. When burning, the top speeds are limited to 8x for DVD and 24x for CD. I normally use low speeds for burning, so for me the limits are not an issue. The drive draws power through the USB connection, so no extra power cable is required. Really very compact. The only concern I have is, what happens if the cable becomes damaged, or fails to function? I cannot see a way to bypass this. The manual is very basic but hardly necessary as the drive is Plug & Play and recognized instantly as an external device (no drivers required). 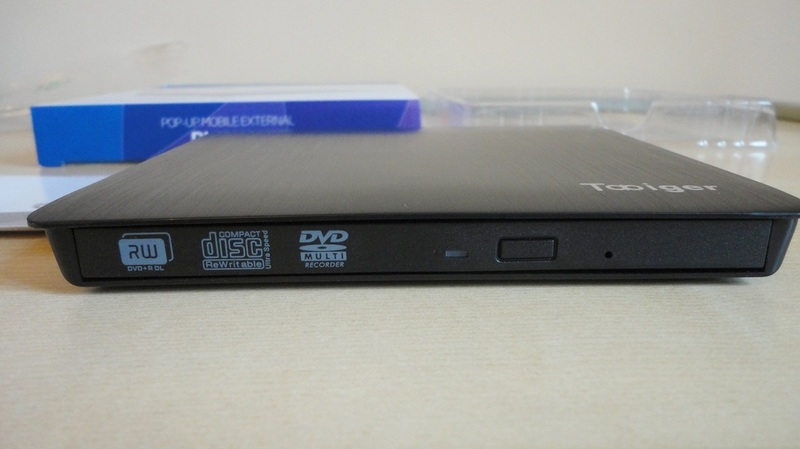 A no-frills device that brings back CD/DVD access to the newest laptops. This is a really neat addition to my collection of USB drives. I have all makes and sizes but this is by far the biggest and fastest. As usual, the effective formatted capacity of 29.8GB is a little less than the nominal 32GB, but it's still pretty amazing storage on something so small. Physically, this drive has the advantage of an attached, rotating cap, which flips out of the way when in use and shields the USB plug the rest of the time. A small loop can accommodate a slim lanyard or be attached to a keyring (although I have never done that). The outer shell is robust black plastic and the pivoting cover is shiny black with the aLLreLi name printed in white. I find the design quite sharp and attractive. 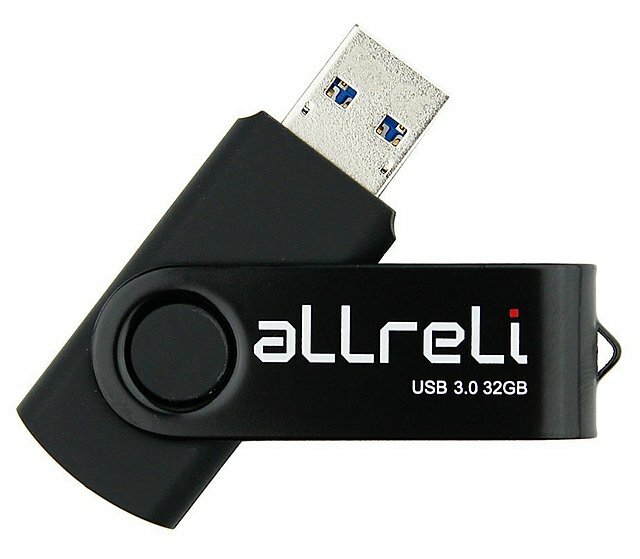 This memory stick has a 3.0 USB connector (blue stripe), which is fully backward compatible with 2.0 ports and, when paired with a 3.0 port, produces outstanding performance. I wasn't expecting blinding speed with my older pc running Vista, however, I clocked transfer speeds of 18-22MB/s with both audio and video files, easily 4 times faster than some other USB drives I have. On my newer laptop running Windows 8.1, the transfer speeds were in the region of 42MB/s peaking at 52MB/s, which I find impressive. Reading from the drive was smooth and hiccup-free. 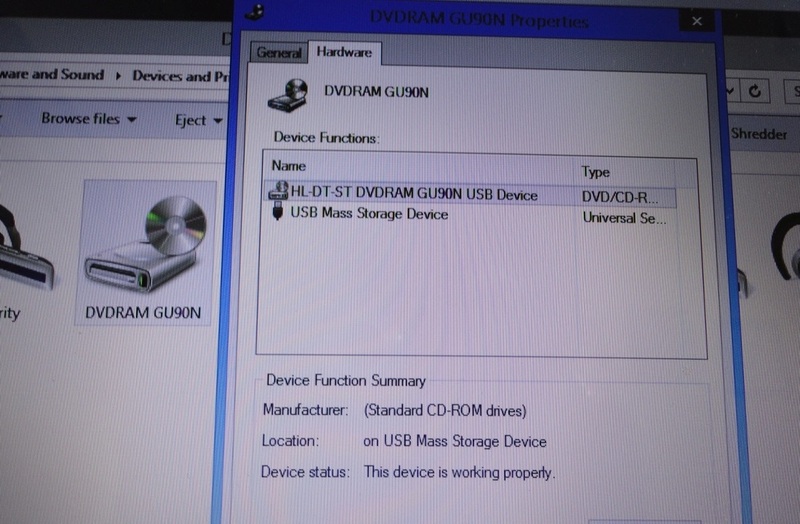 I had occasion to leave this drive plugged into my computer for three days and through several shut-down and power-up cycles (frankly I had forgotten about it), and it caused no interference at all. I received a free sample for review purposes and I can honestly say that I'm really happy with its performance and the large capacity it offers, and can heartily recommend it.